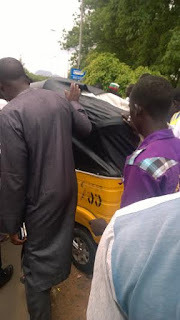 The accident happened this afternoon in front of Area 1 shopping complex Garki Abuja, A Keke driver in high speed in an attempt to dodge an incoming car, jumped over the barricade on the road, throwing away the occupants in the process. Of the four occupants of the Keke, two escaped unhurt, the driver sustained a minor wound, while the only lady in the Keke couldn't work due to the injury sustained and was helped by the bystanders to a car and was taken to the hospital. OMG!! Thank God no life was lost. Hummmmmm....thank God no one died. Thank God they're all alive. Thank God that no life was lost. 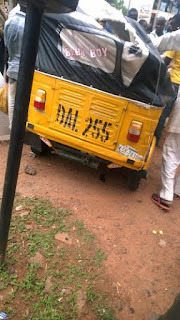 Keke guys are a menace but dey provide cheap service. Oh my God! Wat a day! May God continue to protect one o. God pls save us frm tragic accidents, and untimely deaths. Thank God no life loss. Thank God no life was lost. Linda take note! 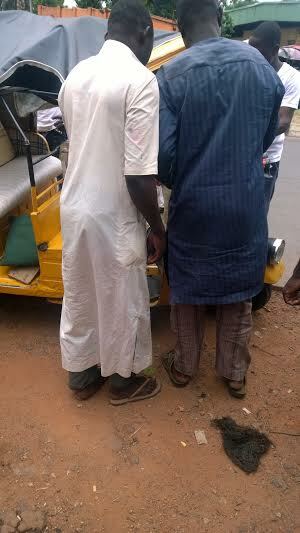 I tot em keke's in abuja d colour is usually green. Last time I was in abj I saw an accident atleast every 2 days . Walk linda. Pls edit it. This is the fourth accident around Garki and Apo Axis....they all have brooms in front of their Keke riding speed shouting 'said Buhari'....all chemist in Durunmi have no caugh syrups again...its now bad because they now mix it with origin....CHANGE! Thank GOD no one died! Wondering when keke drivers will realise its a tryicicyle not a sports car. Road safety need to check n caution keke users. God pls save us frm tragic accidents, and untimely deaths. Thank God no life was loss, and speedy recovery to those injured. Speedy recovery to those injured, and thank God no life was loss. 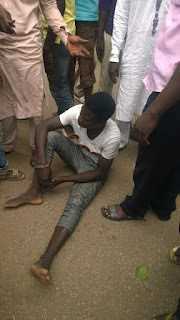 Hmmmmmm, Thank God no death recorded..BTW Linda try to cross check ur write up before u post na, which one is "while the only lady in the Keke couldn`t work." Haba mana? No one is pursuing you.please read through your posts. Linda eeee.oncomlng not incoming vehicle. Reckless driving. Tnk God no one died.